Chevron Nigeria spent $3.6 billion on Nigeria content in 2015 as part of its commitment to local capacity building in boosting local economies and creating job opportunities. The company said in its 2015 Corporate Responsibility Report that it consistently reserves significant portions of job scopes to benefit indigenous companies and community contractors from areas close to its operations. 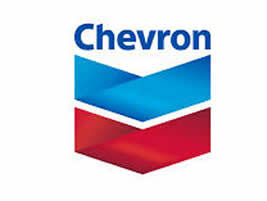 According to the report, Chevron established the first and only simulation training facility for operations and maintenance training in Nigeria, which is operated by a local contractor. It said that the company also supported the upgrade of existing local plants and facilities to drive in-country fabrication. The company stated: “50 young Nigerians were trained in Offshore Facility, an in-country marine training school which Chevron is supporting with a $1 million scholarship to Nigerian Seamen over a period of five years. Speaking at the global level, Chevron’s Chairman of the Board and Chief Executive Officer, John S. Watson, disclosed that over the past 10 years, the company has made approximately $1.9 billion in social investments in local communities. Watson said that in 2015, the company advanced its strategic programs and partnerships with more than $233 million in global social investments. We focused these investments in three core areas—health, education and economic development, to develop skilled workers, improve access to health care, and boost local and regional economies. He stated: “These social investments complement our investments in projects and local goods and services, creating jobs and generating revenues for the communities where we operate. In 2015, we spent $54 billion on goods and services globally. Going forward, our spending in this area will reflect our continued commitment to the communities where we operate as well as the business environment. “Affordable energy is a catalyst for economic growth and prosperity. Our company’s values drive us to provide that energy responsibly while protecting the environment and working with our partners to strengthen communities. Because our success is tied to the success of our communities.